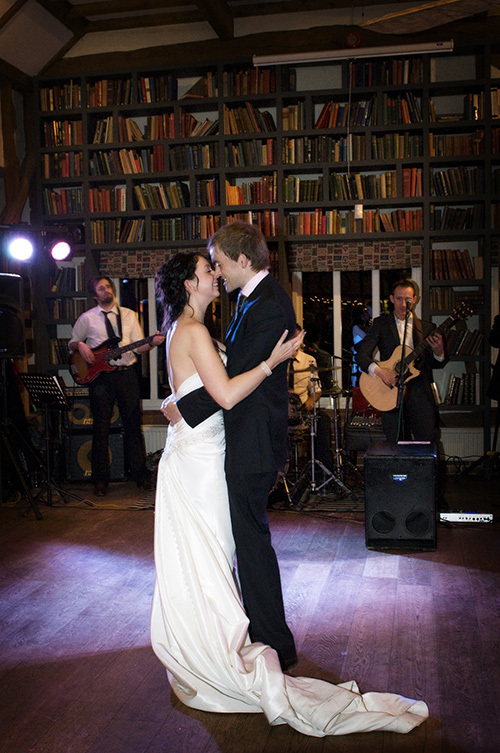 There is nothing quite like a great live band to create a party atmosphere and truly round off a special day. We like to think we have a rare talent and affinity for doing this. Weddings for us are a joy to play. The evening entertainment is not just the icing on the cake, it can be an absolute high point that people remember for many years afterwards. It’s the last thing your guests remember as they totter off into the night with that classic song in their heads, even if they don’t recall getting home! What makes a great live band? A strong repertoire of well played songs and a good connection with the audience. A great live wedding band knows its audience, interacts well with them and can cope with the many and varied situations that can arise in front of them, departing from the plan, if there is one, when necessary. We are not just seasoned, hardened professionals. We actually love doing what we do. Sheer experience, expertise and professionalism need to be combined with a genuine enthusiasm for the job, without which we simply would not have become so good at what we do over several years of solid work in this business. 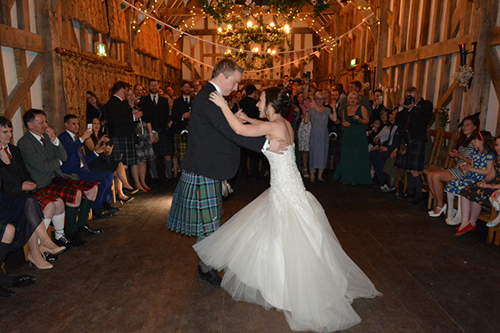 We have a natural affinity for looking after your whole evening, from the first dance until the end of the night. Our vast experience of doing this has given us a keen awareness of the needs of our clients, and of the venues that recommend us. We understand that client focus is paramount, as well as a sense of fun and good humour. No matter how much you plan, no matter how detailed your conceptions are as to the music you want or that people will like, there are certain things you can never predict. We pride ourselves on being able to respond flexibly to the situation on the dance floor at any given moment, and a big part of that is the sheer size and range of our repertoire, the quality of our arrangements, and our knowledge of which songs work best when, and why. For an exact idea of our fee, feel free to ring or email. We will need a little bit of info as to where the wedding is and what time you think the party will end. We will quickly get back to you with a total, all inclusive price. There is generally no rush to confirm or pay a deposit, though in some instances this might be necessary if we have another enquiry for the same date. We will talk through the specific thoughts and ideas you have for your wedding and you can if you like reserve us for your date. So Tasty – Based in Farnham, near us, where we met at a couple of recent local events. ‘Its all about food’.